Odin Quest Server 21, Excalibur, will be released on July 24, 2013 5:00 PDT. Welcome all braves to save this broken world. Then they heard Cadwr Earl of Cornwall being summoned, and saw him rise with Arthur’s sword in his hand, with a design of two chimeras on the golden hilt; when the sword was unsheathed what was seen from the mouths of the two chimeras was like two flames of fire, so dreadful that it was not easy for anyone to look. At that the host settled and the commotion subsided, and the earl returned to his tent. Now, this missing sword of legends is discovered in World of Odin Quest. Only the Real braves could lift it from the Stone! Excalibur is waiting you to arrive with stronger monsters , stronger items and new and better way of playing! Mostly heroes for multiserver battle that is coming up and so reward when you login. Good news! 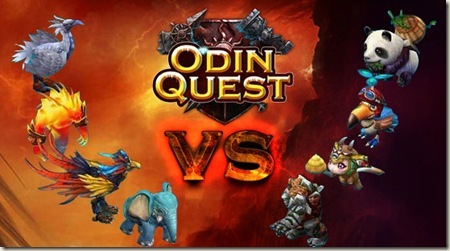 Our 6th EDT server Revolution of Odin Quest will be released grandly by Youjoy.com at 8:00 July 3, 2013 EDT. Like we talked last week, the merge for U41 & U42 is happening right now those lucky server are hopefully in for a lot of action. And I want to take sometime to come back on the pool I’ve started after this merge announcement. It seem that the community it will be the U30 with U33 since U30 was up at the same time U28/U29 and these two just got their merge (U42 with U26) so it make sense to merge U30 next. The news version is coming with the add-on of emperor heroes. These heroes are like normal heroes that can be recruited in the tavern but they have ability that instead of working in the battle field they affect the output of your manors, they have a ability name Undead God of War that enable that hero to continue fighting even if all is troops are dead but this work only is there is another of your hero on the field that still have troop. Today is a Memorial Day in USA and I want to congratulate everyone who celebrates it! Even if you’re not from US, let’s remember to give thanks to those who have served your country in the past and those who continue to do so. Enjoy your family get-togethers and your barbecues! The Memorial Day comes at the end of this May. All people in America will remember the men and women who died while serving in the US Armed Forces. When people visit cemeteries and memorials, they should know how and what these fallen heroes have devoted to their country and appreciate what they have done more than ever. And also should know and cherish the peace and prosperity which are earned by their sacrifices. “Not for fame or reward; not for place or for rank; not lured by ambition or goaded by necessity; but in simple obedience to duty, as they understood it. These men suffered all, sacrificed all, dared all, and died.” Every one of them is the real hero, forever! To remember all heroes who contribute for their duty and obligation, Odin Quest will send free rewards to all players who fight for the alliance, class and camp. All players should cherish all mates and companions they have. And give the super respects to the real fighter who fight for their alliance and camp. All fighters deserve the super honor! YouJoy.com, which has released its S19 Yggdrasil at 5:00 May 22, 2013 PDT, is an online browser game publisher who has successfully published DDTank and Call of Gods. Odin Quest is an MMOARPG that based on Nordic myth originated from Iceland and surrounding countries during 1st and 2nd century. Players will fight with their mates to build their own supremacy. 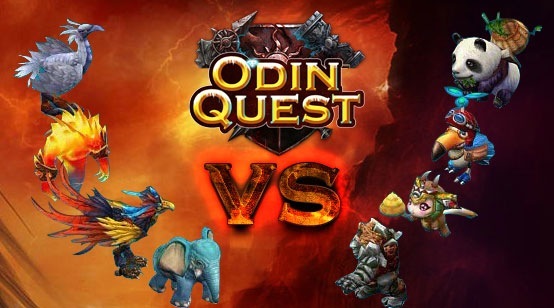 Note to my reader, this a another press release from Youjoy.com for the game Odin Quest. I didn’t wrote it so you might notice that they don’t do the same spelling mistakes I do. I didn’t receive any money from them or anything else except a mail. Enjoy ! Youjoy.com will release its 19th server Yggdrasil of Odin Quest at 5:00 May 22, 2013 PDT. Warriors, arm yourselves and improve your power to achieve real heroes’ goal of conquering and commanding the whole world. There are various dungeons and systems for brave single player to explore and challenge. Also, players can obtain precious and bountiful rewards in there. But only bravery is not enough for the real hero who wanna create the supremacy. Player must be strong and powerful enough. Otherwise, the supremacy is not easy to create. 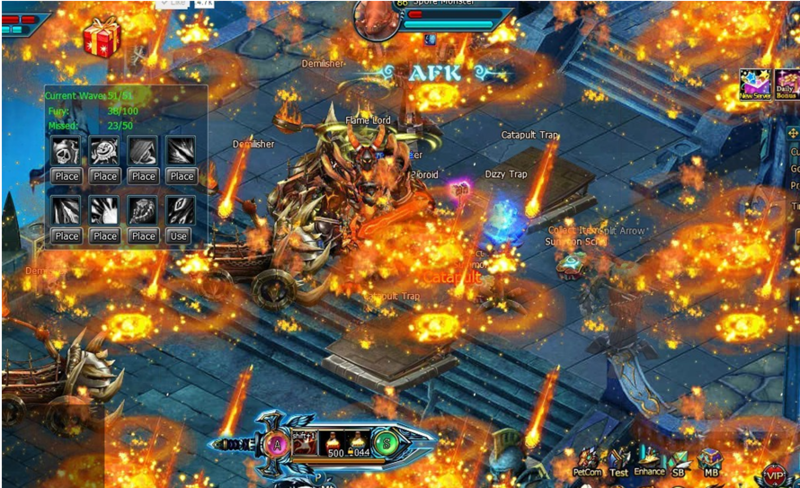 Here we will introduce to players part of important dungeons and systems which can only be challenged by single player. The first one is Deep Treasure, in which players will obtain green and blue equipments of lv50 or lower level. 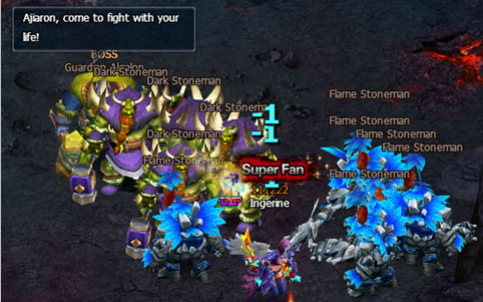 This dungeon is necessary and helpful for newbie. The second one is Red Dragon’s Lair in which there are several waves of monsters with powerful attack. But real hero does not fear any challenge. Raise your weapon to defeat them all. 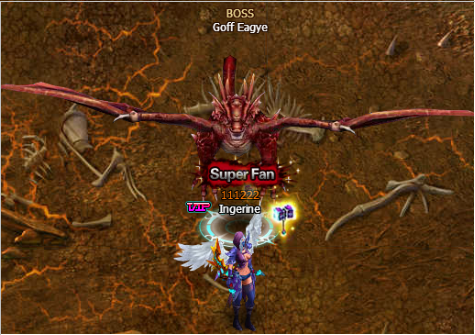 You will obtain bountiful Exp and items to level up your character and your alliance. The third one is Devil Prison, the advanced dungeon for high level players to challenge. 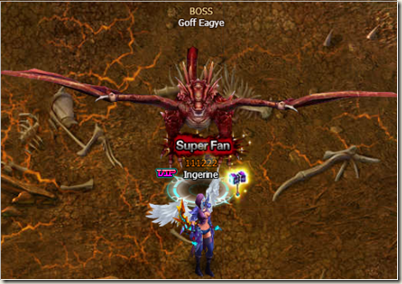 Boss of each tier of 10 tiers are powerful and only the hero with super power can defeat them. Warriors, strengthen your equipments and prove yourself. The last one we will introduce is the Duel Championship. 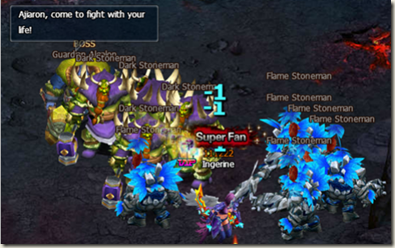 Players can challenge other players in this awesome PVP system. But before you enter this championship, please make sure you are powerful enough. Otherwise, you will be looked down upon and lashed out by other strong players. Warriors, fight for the honor! Only the real hero deserves the super honor! There are also other awesome and interesting dungeons and systems on Odin Quest. Players can challenge them to obtain more precious items and more fun. Solo them to prove your power and win the supremacy right now!